A correct flow of materials, whether semi-finished or finished products, or parts in the assembly phase, plays an important role in rationalizing and optimizing the production cycle. The Emmegi Logistics line offers companies a concrete solution to all storage, handling and assembly problems. 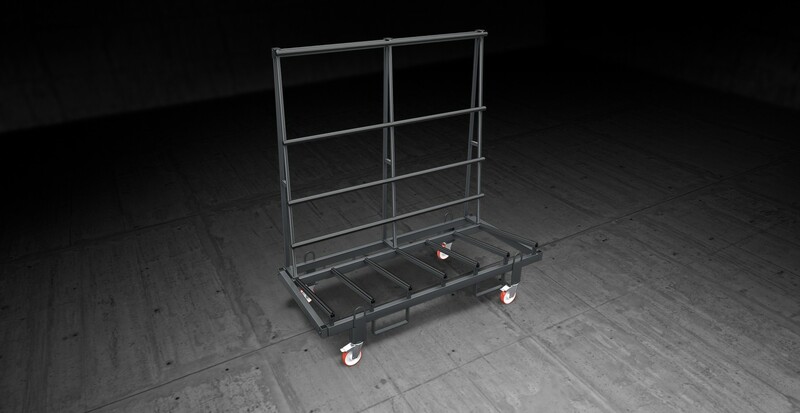 WT 450 is a trolley used at the end of the line as a single tool for storing the finished doors and windows in the factory and transporting them to the worksite.